Every girl deserves to be treated like a princess. 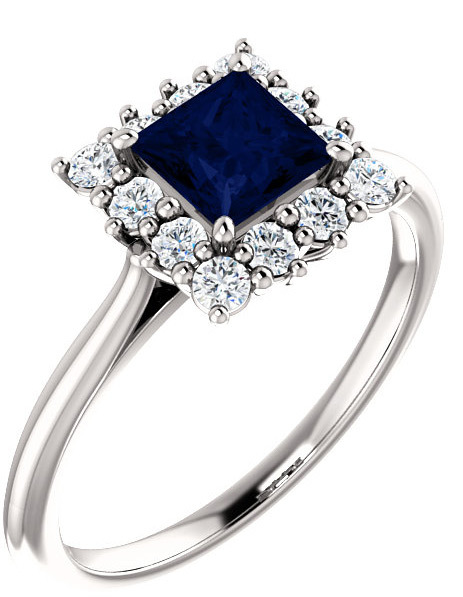 The ring is set with an A rated 5mm x 5mm princess-cut genuine blue sapphire center gemstone surrounded by 12 white diamonds creating a halo effect around the blue gem with a total of 0.36 carats of white diamonds. Apples of Gold uses only G-H Color, SI1 clarity high quality diamonds in this ring. 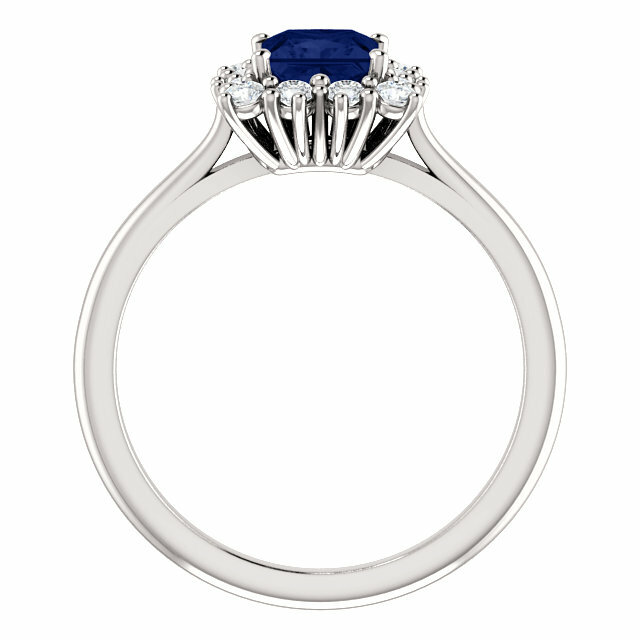 The ring is crafted in solid 14k white gold (Also available in 14k yellow gold or platinum by request). Available in sizes 4.5 - 9 for ladies. This ring can be worn by itself for any occasion, or you can also add a matching, accompanying 14k white gold wedding band and transform it into a bridal and engagement wedding ring set (options below). 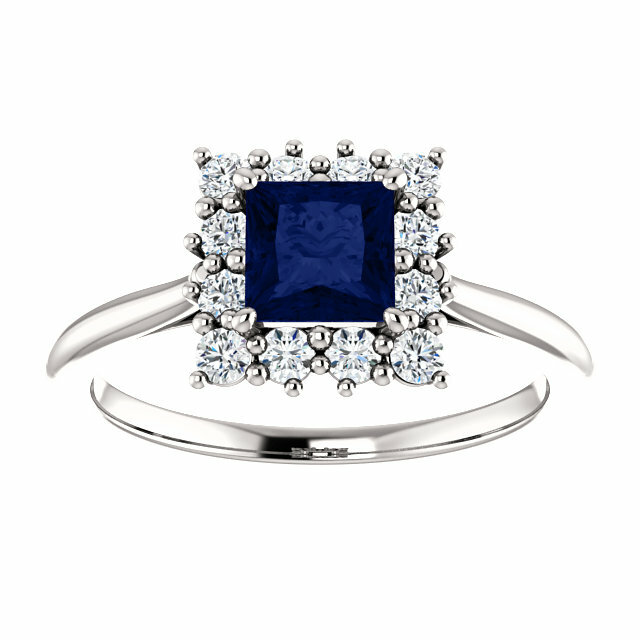 We guarantee our Princess-Cut Blue Sapphire and Diamond Halo Ring to be high quality, authentic jewelry, as described above.